I was one of the judges at the recently concluded ZWCAD 2011 Design Contest. The results are out. The first prize was won by Mutaz Alsidawi from Jordan. 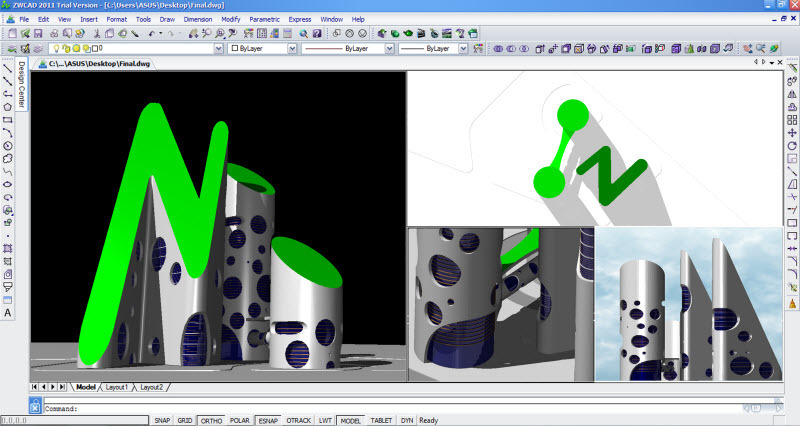 The winning design was that of a virtual office building that resembled the ZWCAD logo. The other winning entries can be found here.